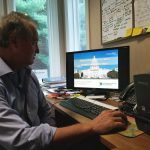 Join our WOTC subject matter expert Brian Kelly this month to learn about the Work Opportunity Tax Credit (WOTC), how much employers can save when they hire, why the 28-day rule is so important to employers, and why there has never been a better time to take advantage of the Work Opportunity Tax Credit! Learn about what’s upcoming and how much you could potentially save using the WOTC, or learn about our WOTC Partnership Opportunities. 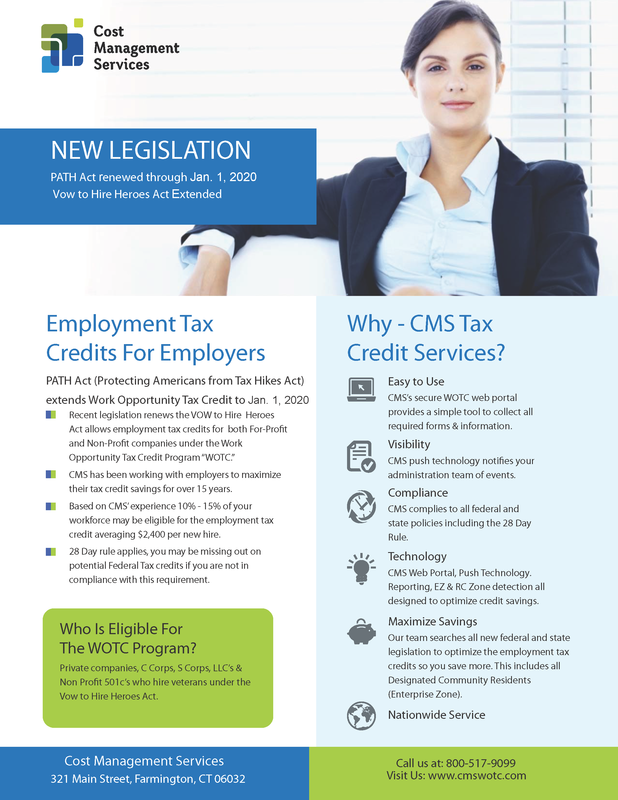 CMS is a full employment tax credit service that helps employers obtain federal tax credits. To speak to an expert please call (860) 269-0958, email Brian Kelly, bkelly@cmswotc.com or sign up for a webinar using the above form. Call CMS toll-free at 1-800-517-9099 or select a webinar to speak to a WOTC expert. -Excellent presentation A good way to present an overlooked tax credit to business clients. -I hope that the presenter will give more presentation on this subject in the future. -Great course on the 28 day rule and which forms to fill out and submit to the pertinent agency. -The Course was very well organized and very educational material made available, very handy indeed. -Mr. Kelly was very well spoken and the information with very good. -The presentation was excellent. The instructor gave very good examples. -Very good speaker, He kept me interested. This entry was posted in WOTC News and tagged partnership opportunities, training, webcast, webinar, Work Opportunity Tax Credits, WOTC. Bookmark the permalink. ← WOTC Questions: I applied for a job and I don’t understand what is WOTC?